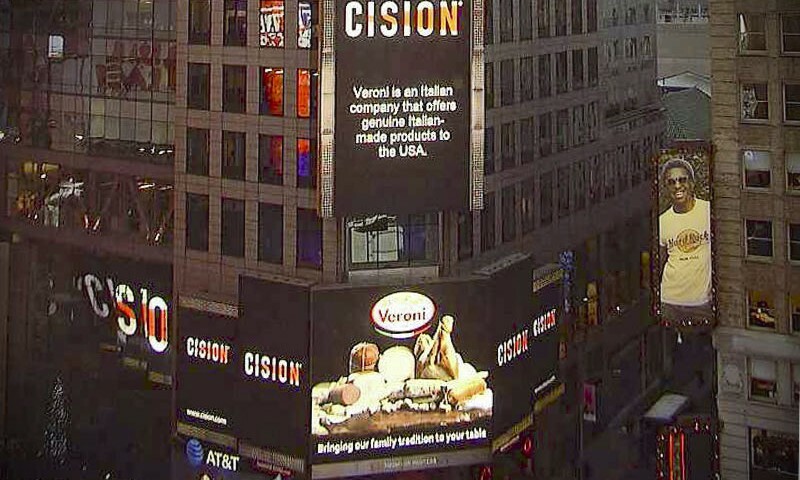 Did you happen to see us sharing some Italian flavor on the Times Square big screens? 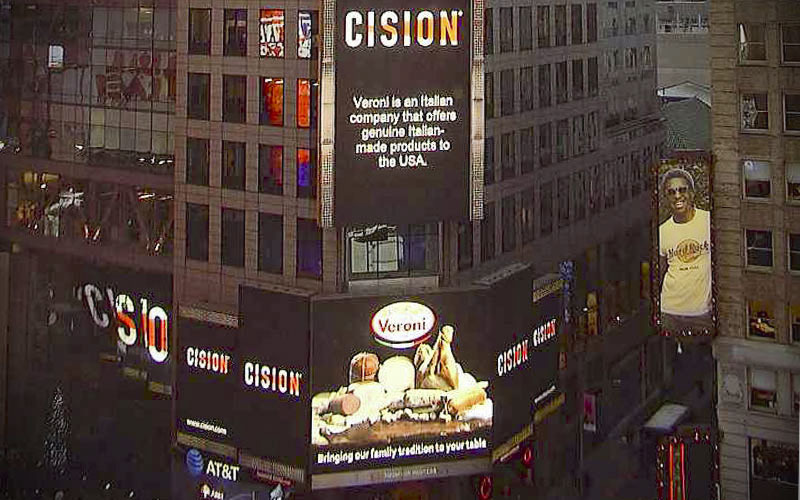 This month we were featured on the monitors of Times Square, New York with our range of traditional Italian specialties and we think this is our real ‘claim to fame’. We shared our message ‘bring our family tradition to your table’ with our range of goods from prosciutto, ham, salami, mortadella, bresaola, coppa and much more. We are so happy to be presenting the USA with our family’s long running passion in cured meats. Our products are still 100% Italian made, and we ensure we provide you with the best of the best through our process of slicing and packaging goods once the arrive in America to retain their genuine flavor and aromas. Let us join you at your next meal and experience the essence of the Veroni family heritage!